My love of the sea and knowledge of the Windward coast , the pleasure of sailing with the wind and the waves, comes from my parents who have that in their blood. They met in the West Indies, each having crossed the Atlantic under sail and decided to leave for six months on a 6m50 boat. Today they still live in Martinique, the island where their two children were born, Aimé, my big brother and myself Délice. Although they have a house on the island they still have yachts with which they have gone on long cruises. But primarily they are specialists on the Atlantic seaboard of Martinique: they know each pass, each reef.This is why my father created the NAUTICAL GUIDE TO MARTINIQUE (Guide nautique de la Martinique) which is indispensable for navigation in the zone. 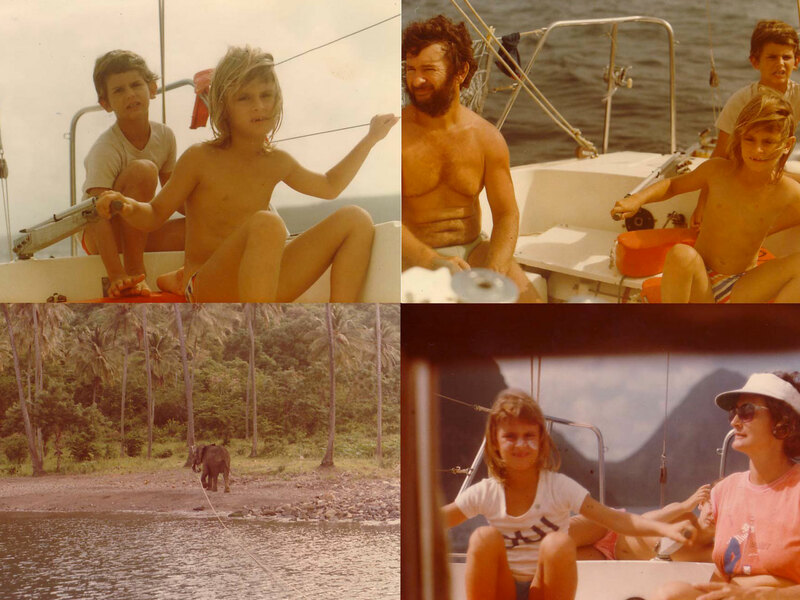 It is during these family cruises that I learned to be a good crew member and my need to be near to nature was born. 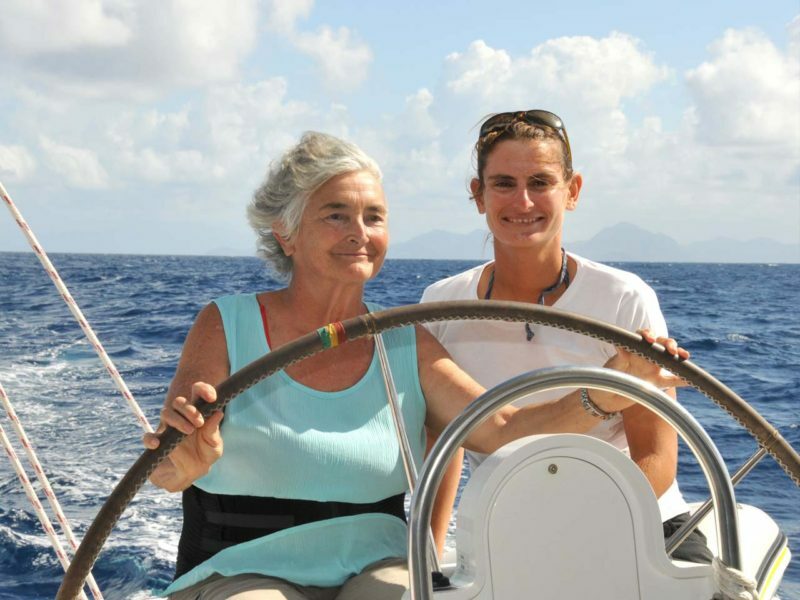 My mother taught me that by sending me to the Glénan Sailing School where I passed my instructor’s diploma (cruising) while studying in France. From 18 to 20 years old —a time I wandered around France and other countries——-Paris, England, Marseilles, Montpellier, Lille, Dominican Republic… Then began my professional life: after 2 years stuck in travel agency offices ,I realized this sort of life was not for me. Return to Martinique was obvious ! Head of the business, professional skipper and diving instructor. 2000 : University diploma in commercialisation techniques. 2004 : Business school specializing in tourism. 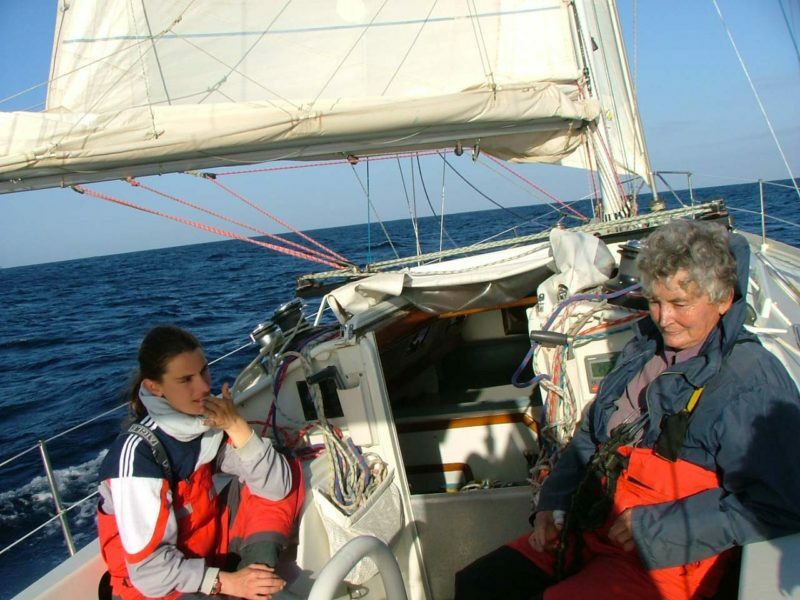 2007 : CAPITAINE 200 VMP—sailing. 2009 : State Certificat Int degree deep-sea diving. Since 2010 : Onwards , Skipper. Day excursions Bay of Robert. Sailing in regattas with female crew. Choose your tour and go on an adventure!